Description Located at the intersection of Duke of York Blvd and Burnhamthorpe Road in Mississauga, Ontario, Welcome to CityGate 1 at 220 Burnhamthorpe Road by Davies Smith Developments. This 35-floor tower was built in 2003 and was the 1st phase of Davies Smith 4 phase project. CityGate 1 includes an optical store and pharmacy on the main level. 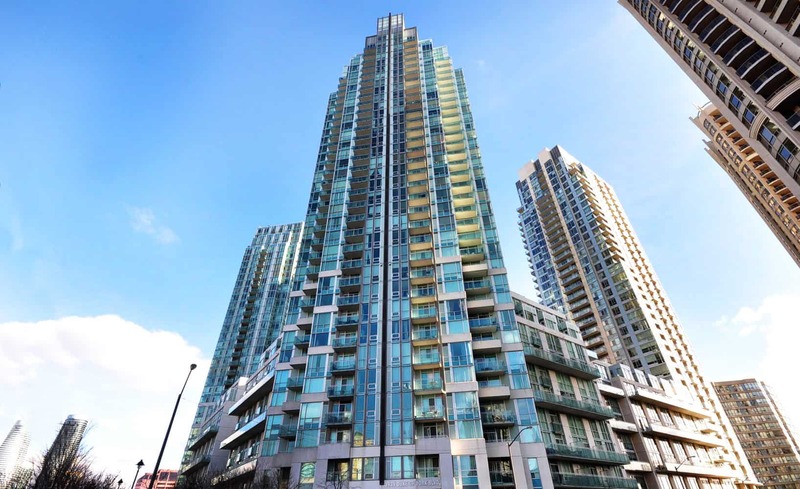 The City Gate Condos are comprised of two magnificent 34-storey towers, standing proudly in downtown Mississauga across from Square One Shopping Centre. Renowned for their contemporary design, the City Gate Condos were the first to offer lofts in the city adding an incredible option to condominium living in Mississauga. Fantastic amenities and one of the best locations in the city make the City Gate Condos a highly desirable living option. Unlimited daytime parking available on a first come-first serve basis given availability. Sign in through the Concierge, resident must accompany visitor. Residents are limited to 6 overnight parking passes per month for their guests. Overnight visitor parking is considered anything beyond 12:00AM midnight. Additional spaces may be rented privately, available spots are usually posted near the mailboxes. Great building with extremely convenient yet quiet stores below ! awesome building with a great value. you basically get the same amenities as Absolute Towers, except at a cheaper price. must see!